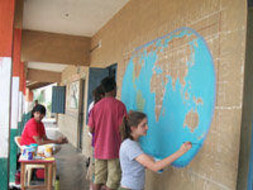 IHDUA based at Mysore, is a NGO established in 1991. It is one of the many innovative Projects taken up and developed by Dr.B.S. AjaiKumar. IHDUA trust has been actively involved since 1992 in the following rural activities. Rural Literacy: IHDUA realizes that literacy is key to further enhancing rural life. The trust has established a coeducation rural school since 1992 in Mullur Village, which is about 20 Kms. away from Mysore called “VinayakaGnanaVidyaShala,” This school caters to the education needs of 9 villages & there are over 475 students studying from LKG to Std.X. English is being introduced to the students from LKG as the rural children find it very hard to learn English. 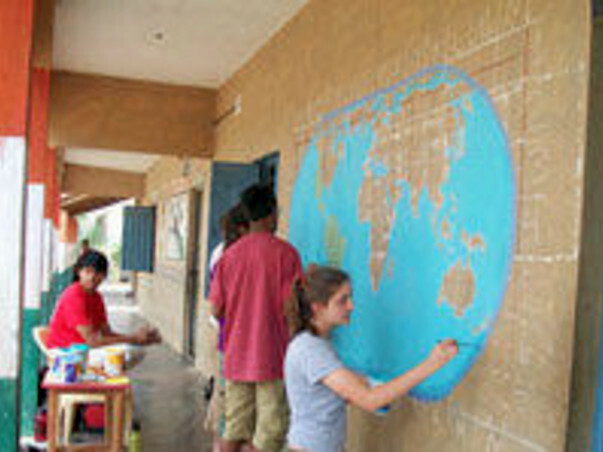 The students are not only given “Quality Education” but are also encouraged to take part in extracurricular activities. From past 10 years, we have been getting above 95% results in SSLC (Std X). From past two years, we have been able to get 100% results. Women Empowerment: The trust works in Gundlupet taluk, Chamrajnagar District, which is one of the most backward areas in the State of Karnataka. Nearly 95% of the population depends on agriculture for their livelihood there is no water source expect rain . People have to depend on the erratic monsoon for conducting agricultural operations. The ground water is also very low (800 feet needs to be drilled to get water). The trust believes the key to Rural Women Empowerment is “Economic Well Being”, a conduit to propel health and education standards. IHDUA plays a vital role in these aspects The trust initially adopted 10 villages initially in the year 2000, for taking up rural development activities and now the trust is working in 70 villages. IHDUA works in a decentralized system, where women and men in the Self Help Groups (SHG) plan, implement and monitor all community & individual development activities. SHGs are not only a platform for economic development but are also used for creating awareness on health issues, importance of education, training of new income generating activities and different vocations (tailoring, nursing, agarbathi making, candles, dairying, producing high protein energy powder, etc. ), so as to provide alternate source of employment. We have established over 500 SHGs both of women and men and their own savings exceeds Rs.30 million. Loans (Rs.50 million) have been given for taking up income generating projects and the recovery rate is above 95%. Health & Hygiene: Some of the main activities in the field of health are conducting of rural health camps, Anti Natal/Post natal camps, creating health awareness on preventive health and helping malnourished children. Environmental awareness is also created on the importance of planting trees, encouraging organic agriculture, facilitate construction of toilets, drainage system (soak pits), and compost pits by converting “waste into wealth” and taking up other Eco friendly projects. Toilet construction and development of Kitchen garden and horticulture in rural villages is also being implemented to improve the environment . Though the trust has implemented the above activities, we need to go a long way in improving the lives of Rural Community. IHDUA requests Commercial organizations/Philanthropists to partner with us to help the rural community lead their lives with dignity. Look forward for your support and encouragement for rural education & development.